Welcome to the website of the JUDD ORANGE BRIGADE - The Official KTM UK Factory Youth Motocross Team! 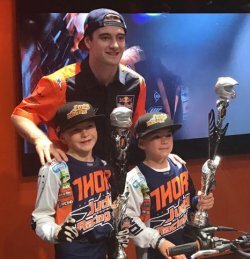 Judd Orange Brigade are Judd Racing and KTM UK's very own youth MX team comprising some of the top motocross riders in the UK! Seven riders in total currently make up the 2018 team who compete in a range of race categories from 50's, 65's, 85's , 125's & 250's! 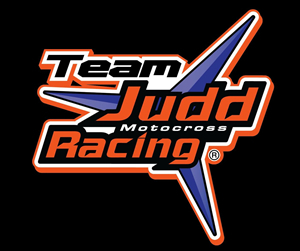 The team was formed in 2015 under the initial name of 'Team Judd Racing' due to demand for a professional youth mx team to challenge for honours in the major National, European & World Motocross Championships. The success & professionalism of the team has meant that KTM UK have now partnered with Judd Racing to create the Official KTM UK Factory Youth MX Team commencing from 2018. For the 2018 UK National Motocross Season, the Judd Orange Brigade will have a full team presence at the JUDD KTM British Youth National Championships, with representatives at the MX Nationals and Arenacross UK. To learn more about the Team, it's Riders, Sponsors and even Judd Racing itself, please take a look at the respective pages of this website. You can also keep up to date with race results and the progression of the Team on the Latest News page plus the Judd Orange Brigade Facebook page and Instagram account. Meet: The 2018 Official KTM UK Factory MX Youth Team! News: Team Judd Racing become the 'KTM UK Factory Youth Team'! They're some of the biggest names in Motocross and they're all backing the Judd Orange Brigade! See exactly who they are here!